LocationThis hotel offers a relaxing stay in the 'Horse Capital of the World', which is what Ocala is now better known as. The hotel wants guests to feel the history and the charm when visiting this small Florida town. Ocala has even been listed on Forbes magazine's 'Top 20 Best Small Towns to Live In'. 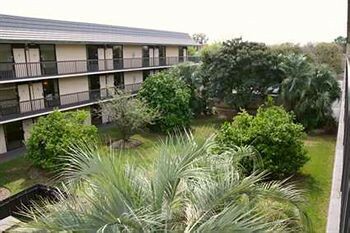 The hotel is located conveniently off the I-75, just minutes away from all that Ocala has to offer. While guests are here, they should check out Silver Springs Park, featuring glass-bottom boats that provide a window into the clear waters and marine life below. If guests are into fast cars they should check out the Don Garlits Museum of Drag Racing for an exciting day of hot rods and muscle cars. If guests are looking to enhance their cultural awareness, they cannot miss the Appleton Museum of Art, which features both ancient and contemporary art from all over the world. Whatever guests' pleasure is, it is all right here near the hotel. The Ocala Amtrak railway station is approximately 5.8 km from the hotel.FacilitiesThe hotel features 152 accommodation units. Guests are welcomed in the lobby. Lift access is provided to the upper floors. Services and facilities at the hotel include a safe, a bar, room service, a laundry, a conference room and coin-operated laundry. Shopping facilities are available. Guests arriving in their own vehicles can park in the car park.RoomsAll rooms feature air conditioning, central heating and a bathroom. The accommodation units each feature a sofa-bed. Features include a fridge and tea and coffee making equipment. An ironing set is also available to guests. Each accommodation unit offers internet access, a telephone, a TV and a radio. Wheelchair-accessible accommodation units are also bookable. Each of the bathrooms features a shower and a hairdryer.Sports/EntertainmentThe hotel offers a selection of sport and leisure opportunities. The hotel features an outdoor pool. Leisure options available to guests include a gym. MealsBreakfast is bookable as a board option.PaymentThe following credit cards are accepted at the hotel: American Express, VISA and MasterCard.